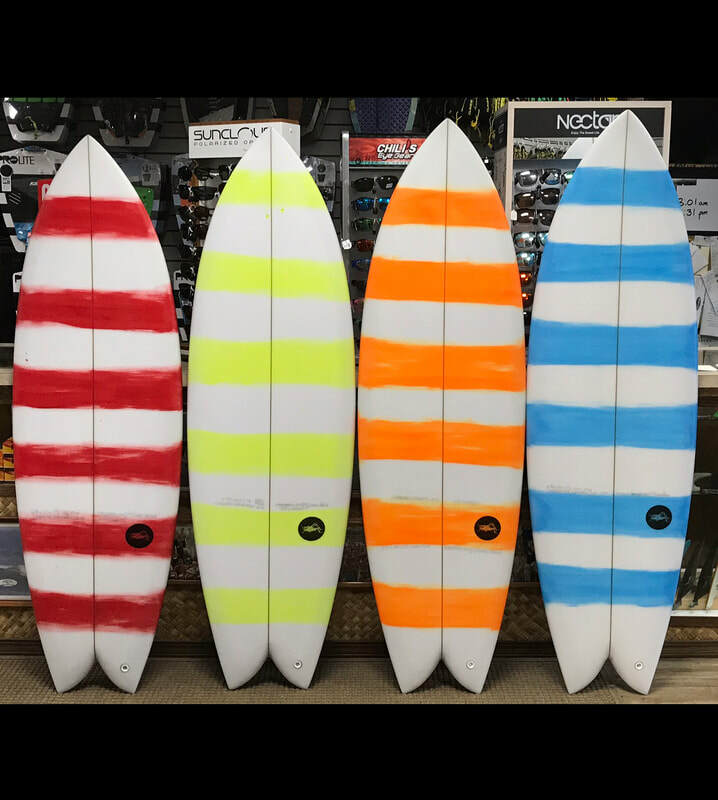 Grasshopper Surfboards are 100% designed and hand-shaped by Richard Prause. Richard was born in Maui, Hawaii but has lived most of his life right here in Charleston, SC. He started shaping over 15 years ago and has developed an enthusiastic and loyal group of customers/rippers from South Carolina to Florida from California and even to Peru and Japan. One of his greatest strengths is his diversity. He has been known to shape elegant, classic noseriders as well as alaias, mini Simmons, retro fish, modern fish, super-chippy shortboards, guns, eggs, and on and on. Also, Richard isn't shy about taking on labor and skill-intensive work like solid wood shapes, cork decks, bamboo veneer inlays, and hand-foiled/custom fins. Check out our in-stock Grasshopper shapes, or have Richard personally shape the board you've dreamed of.